Offered pics include Wissower Klinken, mani-stones at the holy lake Manasarowar(Tibet), Sony Center Berlin, TV-Tower at Alexander Platz, Berlin. Vernissage: Tuesday, 21.06.2016, 7 p.m. Opening hours: daily 1 p.m. to 6 p.m., Admission free. Tuesday, 21.06.2016, 3 p.m. to 6 p.m.
Order directly via our partner photocircle and support people in Myanmar that are affected by the severe flood in August 2015. Vernissage: Friday, 15.5.2015, 7 p.m.
On the occasion of the exhibition Myanmar artist Thaung Htike will perform on the traditional instrument Hsaing Waing. 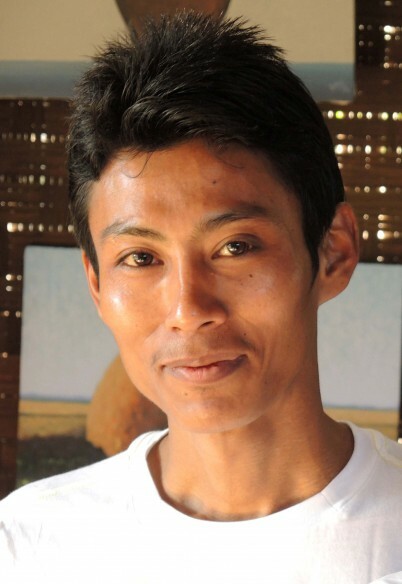 You will have the chance to meet Shwe Maung Thar’s son Khine Min Tun at the vernissage and during the exhibition time. In an inspiring dialogue of photography and painting, Legendary Arakan presents a fascinating portrait of Mrauk U.
contrasting insights into this cultural landscape in western Myanmar. Legendary Arakan will be hold May, 15th to June, 6th 2015 at Galerie Kuhn & Partner in Berlin, Germany. The exhibition will be part of the cultural programm within the Asia-Pacific Weeks Berlin 2015 and is therewith imbedded in a well-established forum for international exchange and dialogue. Looking at the current situation in Myanmar and facing upcoming elections in 2015, this is the ideal moment to draw the attention to a more detailed picture on this fascinating country. 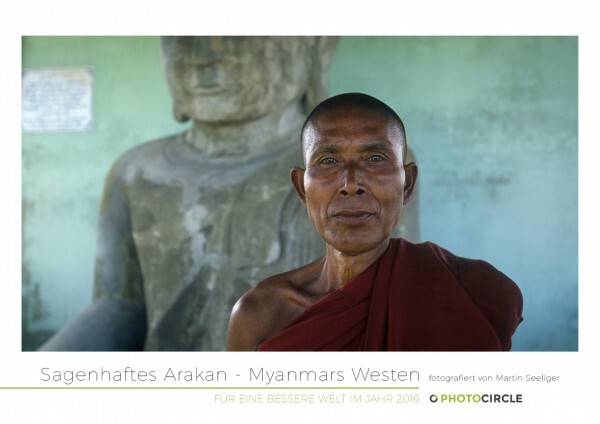 Legendary Arakan is the first exhibitions of images in Germany exclusively dedicated to Mrauk U’s remarkable cultural landscape. The exhibition presents a multifaceted indepth portrait of the former royal capital in a synopsis, combining Shwe Maung Thar’s paintings and Martin Seeliger’s photographic works. Shwe Maung Thar’s oil paintings Martin Seeliger’s images address common subjects yet, through their different perspectives, offer contrasting readings of the central theme of Legendary Arakan. As the visitor views these contrasting works, the different artistic approaches create an intensive and diverse dialogue. Myanmar is in the grip of a profound change. This wave of change is beginning to reach cities and areas which, in cultural terms, are exceptionally fragile. The example of Mrauk U highlights these forces for change: a rail line is planned to run here directly past the architectural treasures of the former royal capital. Currently one came up with the idea to build an airport close-by. Yet despite their differences in media, these two artists share a similar objective. Their paintings and photographs facilitate a sentimental, almost retrospective view of a site whose original charisma was extraordinary. Furthermore, given the desire for progress throughout Myanmar, Shwe Maung Thar and Martin Seeliger have more than likely captured moments of peace and serenity that may soon no longer exist in this form. Legendary Arakan captures rare and exquisite scenes of peace and serenity which may soon vanish as a nationwide wave of change reaches this isolated area of outstanding cultural heritage. The exhibition also offers a chance to explore the eventful history of the fabled Arakenese kingdom. In their fascinating essays, international experts present a journey of ideas through the cultural and social history, and the archaeology of this former royal capital. Filmmaker and director Roman Teufel included Shwe Maung Thar’s art works in the ARTE production Myanmar – eine Reise durch mein Land (Myanmar – A journey through my country). The exhibition is showing exclusive edited footage from this documentary portrait. We are deeply moved about the very sad news that reached us early morning of January, 26th 2015: our Burmese friend, the artist Shwe Maung Thar (SMT) passed away. His family told us SMT died of a heart attack. We feel a great sorrow about SMT’s dead. His journey to Germany was getting closer and he was very happy and excited to attend his art show in Berlin. For him it would have been the very first time to attend a show of his works outside Myanmar. In great honour and to pay tribute to SMT we adhere to the idea to realize our exhibition which will present a selection of his last works. His son Khine Min Thun (KMT) is an artist, too and was an apprentice to Shwe Maung Thar. Along with the retrospective of his father KMT will show some of his own paintings. Shwe Maung Thar (1955 – 2015) had lived all his life in Mrauk U. In 1995, he began to study painting with U Win Pe Myint, an outstanding artist with a nationwide reputation. Shwe Maung Thar had worked intensively with oils and watercolours, and studied the stylistic devices of European Impressionists. His studio and art gallery “L’Amitié” (friendship) is situated close to the main temples in Mrauk U. Here is where Shwe Maung Thar invited locals and visitors from all over the world to experience his paintings. His works have been shown in Canberra, Melbourne and Vienna, as well as in various group exhibitions with other Burmese artists in Yangon. photography. He assisted the Deutsche Technikmuseum in designing a number of exhibitions on the history of photography and technology, before subsequently working for a German camera manufacturer. Since 2008, he has been a freelance photographer, with two well-known image agencies handling his work and running a cooperation with Photocircle. Martin Seeliger lives in Berlin. Khine Min Thun, born in 1981, lives together with his family in Mrauk U. Before graduating from school in 2002 he has spent a lot of time in his father’s gallery, studying SMT’s technique of painting and practising while creating own works. Since he was taught consistently by U Win Pe Myint in Yangon. Khine Min Thun will hold on to his father’s gallery “L’Amitié” in Mrauk U also as an open meeting place to all cultures. In March 2015 he welcomed artists from Yangon to have a workshop there. “Legendary Arakan” shows paintings by KMT for the first time outside of Myanmar. Become a patron of the arts ! All funds that were offered so far to finance SMT’s visit in Germany will on an unlimited scale go directly into the presentation of his paintings. His son Khine Min Thun (KMT) succeeding him in the galerie “L’Amitié” in Mrauk U. In March 2015 SMT’s son Khine Min Tun has received his visa! Therewith he is finally allowed to travel to Germany in May. KMT is very happy and excited! Thanks to all of you who supported that very special trip for him! You will have the chance to meet him at the vernissage and during the exhibition time. Posthumously we hold on to the idea of dialogue between cultures. Especially the mutual exchange of ideas about colours, settings and perspectives inspired the bonds of friendship between Shwe Maung Thar and Martin Seeliger. It is planned to open up the exhibition to themed readings, information evenings and round of talks to continue the idea of dialogue. With your support, Legendary Arakan can not only be realised as a wonderfully atmospheric exhibition, but also as an attractive forum. 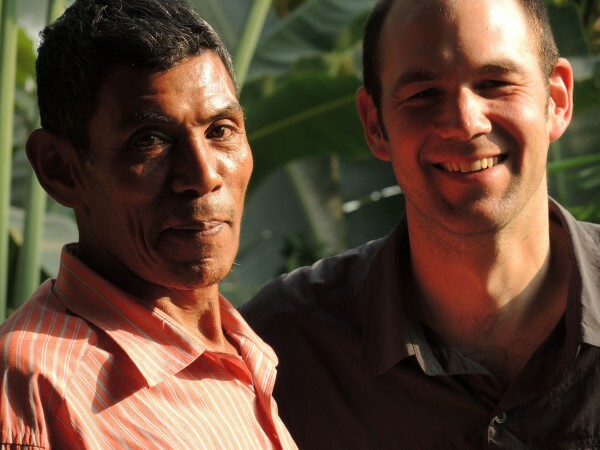 Become part of a vibrant cultural dialogue and support Legendary Arakan!